Harmar AL560 automatic universal power chair lift is designed to meet the needs of consumers who need a quick, automatic securing option without modifications to their power chair. 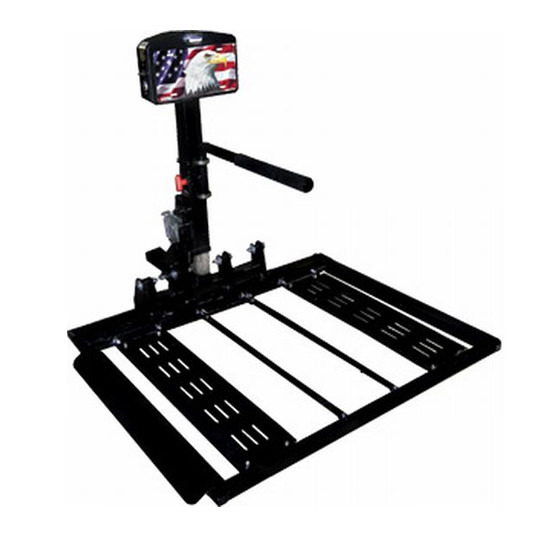 The automatic universal lift comes with adjustable platform and vertically adjustable, padded hold down arm which safely and automatically secure virtually any power chair up to 350 lbs. When empty, the automatic universal lifts platform automatically folds up and out of the way. AL560 automatic universal lift has one switch operation and drive on/off platform which make this fully automatic lift and even easier to use.